Home Tips	The best and most comfortable blue jeans ever! The best and most comfortable blue jeans ever! I’m a jeans and flip flop girl. And the more comfortable the jeans, the more comfortable I am! The jeans can’t be too tight, too loose, too long, or too low. I finally found the perfect pair of jeans! I found the most comfortable pair of jeans recently and I promise you, it feels like you’re wearing sweat pants. Even better! 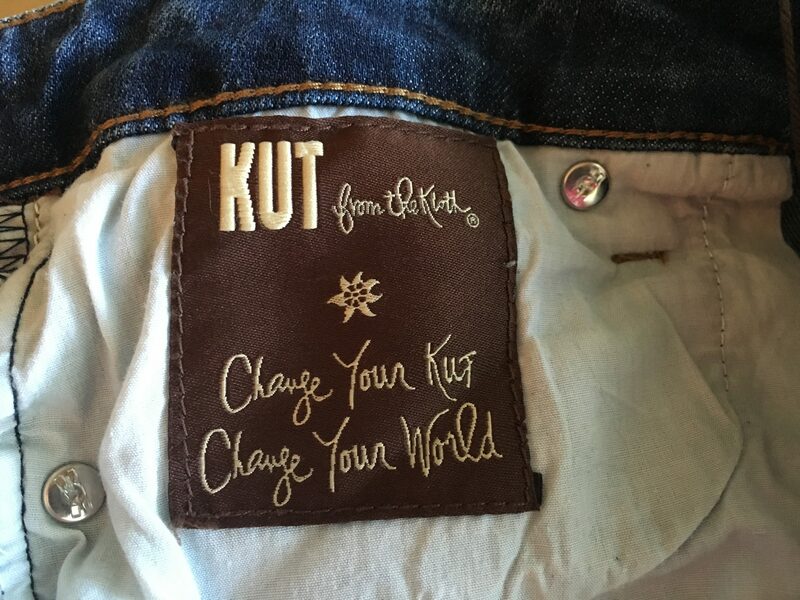 The brand name of the jeans is KUT from the Kloth. They are 99% algodon, which is Spanish for cotton and 1% spandex. (Yay!) Algodon is all cotton but is stretchier than regular cotton. Another plus! The jeans are pretty affordable too. They retail anywhere from $39 to $100 depending on where you find them and if they are on sale. You can buy them online at Amazon or at Macy’s and Nordstrom Rack. And they really hold up well! I’ve had one pair for over a year and they still look and feel great! They have not faded a bit nor have they shrunk. For my local friends they are available at one of my favorite little boutiques called Heather Bleu Home located on Hart Street in Doylestown, PA. The shop carries the jeans as well as an eclectic mix of clothing, jewelry, gifts and accessories. I highly recommend their hand soaps and lotions as well. And the shop owner is delightful! And since I love to shop locally and support small businesses, this is my go to spot for my favorite jeans! I bought my second pair last week. This time I bought the “Catherine Boyfriend” jean. They are cuffed at the bottom but I’m sure they look cute un-cuffed as well. Most of the jeans contain the spandex and algodon cotton, but some have a bit of polyester as well. I know these new jeans will be another favorite. I might go back for the Bootcut style, but I haven’t decided yet.After this incredibly hot summer, I’m looking forward to wearing my jeans and light sweatshirt. Not, ready for winter, mind you, just jeans weather! Hope you have a wonderful day! Thanks for stopping by! The best way to cook Garlic!